Editor’s View: Could the Bridge broaden theatre’s horizons? For good or ill, the West End is British theatre’s beating heart – its historic home and commercial centre since the early 19th century. But perhaps it doesn’t have to be that way. Maybe there is space for commercial theatre to exist in a focused way elsewhere in London – even outside Zone 1 on the underground map. Why not have multiple theatre districts just as the capital has many restaurant districts? 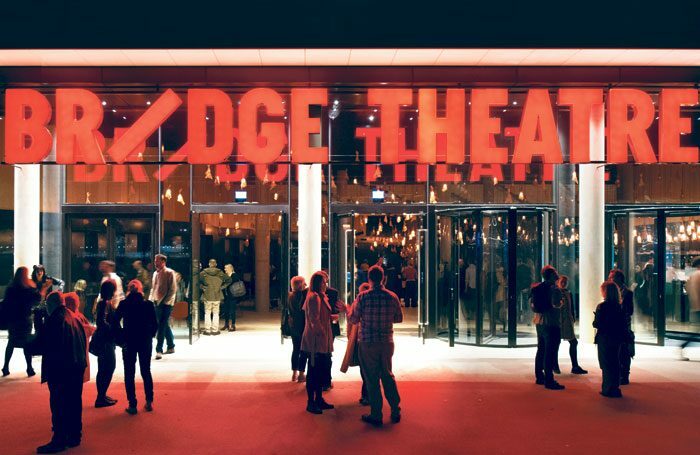 That is the premise behind Nicholas Hytner and Nick Starr’s plans for the London Theatre Company and its first venue, the Bridge Theatre. The theatre’s official opening this week marks the first new large-scale commercial playhouse since the New London Theatre in the 1970s – but it could also signal the start of a broader shift in thinking. Many things that make a night out in the West End magical – its central location and its grand historic buildings – are also at the root of Theatreland’s challenges. The restrictions presented by these buildings and the cost of running them mean that producers creating shows there are confined to quite specific ways of working, artistically and financially. They are confined to proscenium arches, but also established rental, ticketing and pricing systems, as well as union agreements. Temporary experiments in breaking away from this model have included King’s Cross Theatre that hosted shows including the Railway Children and In the Heights. But the Bridge could be the first full proof of concept for a new way of making commercial theatre. This week’s front page story also underlines one of the reasons we should want it to succeed. Central London is becoming an increasingly expensive place and is pricing out many of the artistic activities that used to find a home there. Ancilliary services such as Harkers Studio or Samuel French’s bookshop are finding themselves priced out, as are the workers who staff our West End theatres. If new commercial theatres can thrive in other areas of the capital, or indeed the country, we should embrace this development. The Bridge is still fairly centrally – and expensively – located, but could it be the first step in a new direction: outwards and upwards?